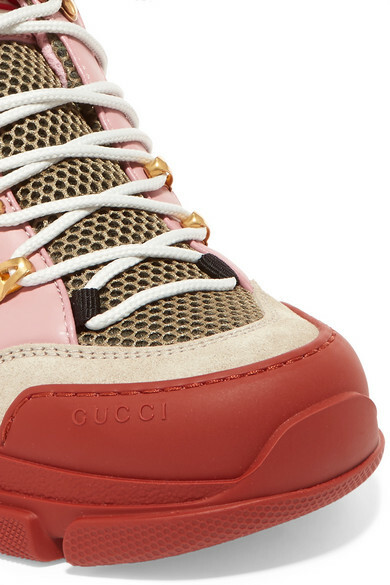 'Dad' sneakers are far from a new thing, and this season they're bigger than ever - so much so that everyone from Bella Hadid to Kim Kardashian-West is wearing them. 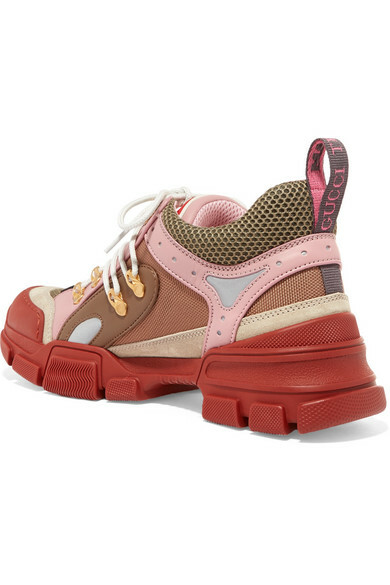 Unveiled at Gucci's Fall '18 show, this 'Flashtrek' pair is made from multicolored panels of leather, mesh and suede, with a reflective strip at the side. 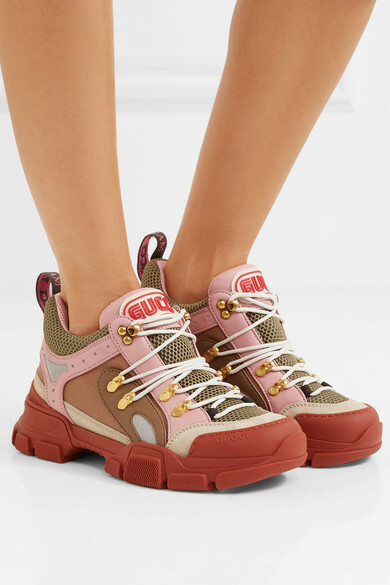 They're finished with hiking-inspired laces. Our stylists think they look so cool with cropped denim or breezy midi dresses. 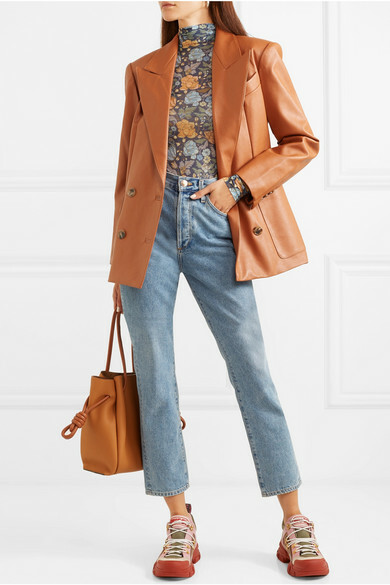 Shown here with: we11done Blazer, Acne Studios Top, Goldsign Jeans, Loewe Tote, Sophie Buhai Earrings.